ID: 2419 ~ Source: Conger, Roger Norman., and Kari Vanhoozer. A Pictorial History of Waco: with a Reprint of Highlights of Waco History. Texian Press, 1998. 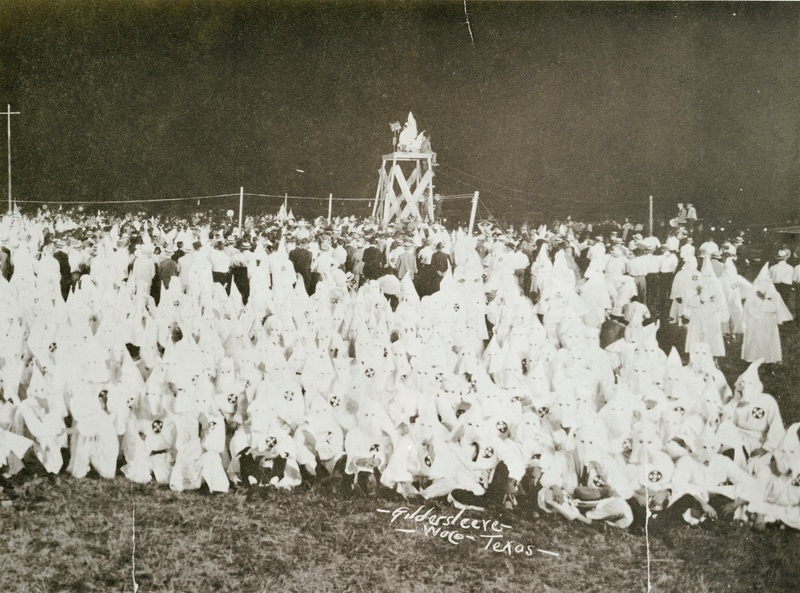 This image features a local Klan picnic for family and friends in 1923. Such an open and casual gathering illustrates the strength of the KKK and its acceptance in the Waco community.